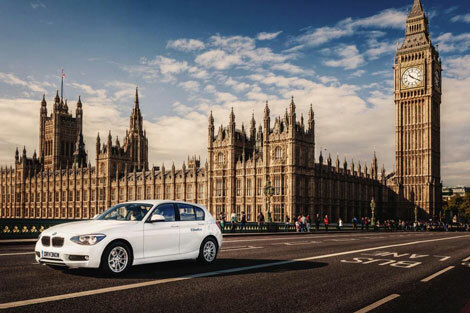 Sixt has teamed up with BMW to launch a car rental members’ club in London. The “Drive Now” club has 210 BMW and Mini vehicles available for hire, predominantly in Haringey, Hackney and Islington. Sixt has already launched the scheme in Berlin, Hamburg, Munich, Cologne, Dusseldorf, Vienna and San Francisco. Building on public appetite for car sharing, as evidenced by Avis-owned Zipcar and City Car Club, Sixt’s Drive Now business model sees customers pay a one-off fee of £29 (currently free for the opening promotion) and then a by-the-minute rate for the car from 32p and 19p when parked. Full details of rates and packages are available here. Initial registration takes about five minutes and includes loading payment details (American Express excluded) as well as a driving licence. Drivers can log into the Drive Now app or website to pre-book a car in advance, or see whether a vehicle is immediately available. For drivers within the boroughs of Haringey, Hackney and Islington, defined by Drive Now as being the “Business Area”, parking is predominantly free. If you are parking but continuing the rental, then the rate drops to 19p per minute, or if the booking ends then the parking is for free. Outside these boroughs, however, it is the responsibility of the driver to pay all parking charges, which in effect means any booking made with Drive Now needs to start and end in the business area, since ending the booking by leaving the car outside that area would leave the driver liable for all parking charges until the car was rented by the next customer. Sixt says the scheme will gradually expand from the initial area as deals are made on parking charges with other London boroughs.